Title: The DBMS must take needed steps to protect data at rest and ensure confidentiality and integrity of application data. Description: This control is intended to address the confidentiality and integrity of information at rest in non-mobile devices and covers user information and system information. Information at rest refers to the state of information when it is located on a secondary storage device (e.g., disk drive, tape drive) within an organizational information system. Applications and application users generate information throughout the course of their application use. User data generated, as well as, application specific configuration data needs to be protected. Configurations and/or rule sets for firewalls, gateways, intrusion detection/prevention systems, and filtering routers and authenticator content are examples of system information likely requiring protection. Organizations may choose to employ different mechanisms to achieve confidentiality and integrity protections, as appropriate. If the confidentiality and integrity of application data is not protected the data will be open to compromise and unauthorized modification. Check Text: Review DBMS settings to determine whether controls exist to protect the confidentiality and integrity of data at rest in the database. If controls do not exist or are not enabled, this is a finding. Fix Text: Apply appropriate controls to protect the confidentiality and integrity of data at rest in the database. SQL Server enterprise edition features Transparent Data Encryption (TDE). TDE not only encrypts the data and log files of SQL server when they are at rest on the storage device, they also ensure the backups are encrypted as well as any information being relayed to other instances via replication. To enable TDE various certificates and keys are required. These keys can be generated within SQL Server or via external systems. 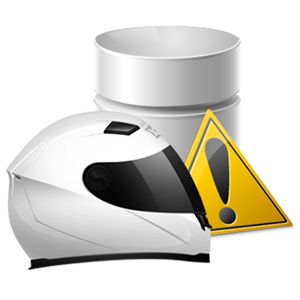 If you are running any other edition of SQL Server (except developer, but that’s a special case) TDE is not supported and other actions would need to be taken to ensure data at rest is protected. Keep an eye out for a video regarding the setup and configuration of SQL Server’s TDE in mid-2016!